We woke up early to beat the heat. It was forecasted to be scorching hot in Moab, so we were trying to be past it by noon. 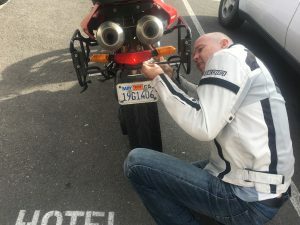 The rear light was broken, so I wasted some time fixing it before we started our ride, but we were on the road just after 8. 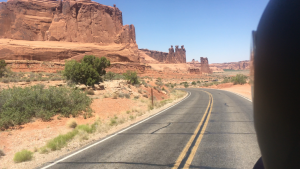 After entering Utah, we saw a sign that said 40 miles to next service. 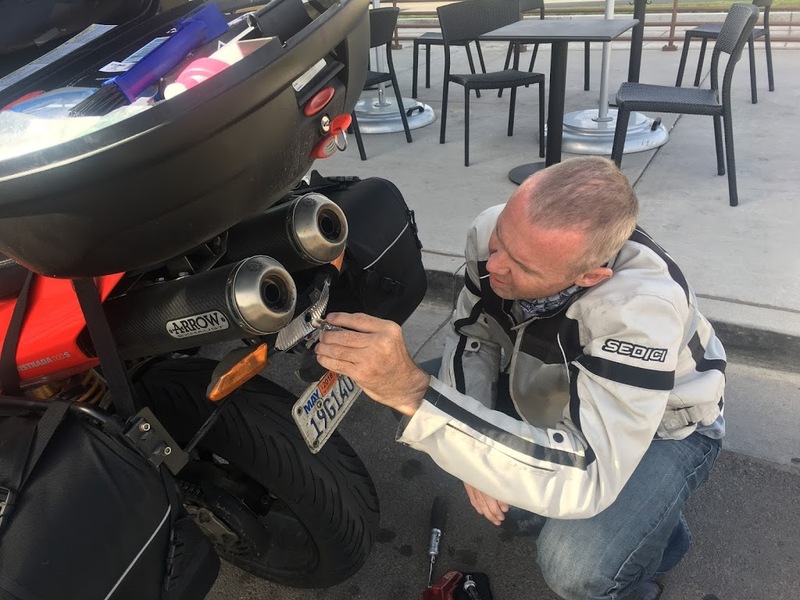 Since we had little fuel left and was planning to off the interstate, we played it safe and backtracked into Colorado for a fuel station, adding another 50 miles to our ride and yet a little more delay. As soon as we got off the interstate, the scenery turned into something from a western movie. 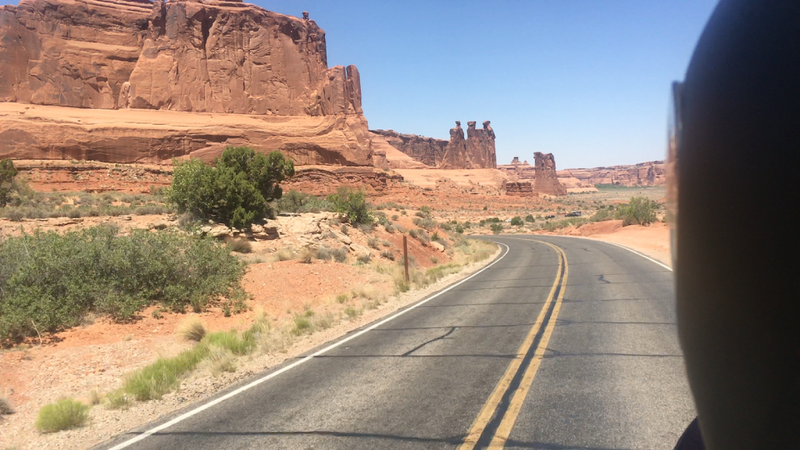 It was stunning and we were happy that we took the less travelled road to Moab. 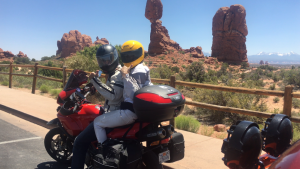 We also checked out the Arches national park, for more stunning beauty. By the time we got out of there it was past one and we still had a long way to go. We got back on the interstate to find a very windy and uncomfortable ride toward Salt Lake. At a stop for coffee, I ended up changing our rear break lights for the second time today. I think it gets so hot it burns out. Finally, late afternoon, we arrive in gorgeous mountain scenery and Park City to have a celebratory drink and relax for a week with our long time friends from Seattle. So far, we’ve ridden 2600 miles, since our start in Virginia.